Interaction between small and large vessels in New York Harbor and handling the unique Hudson/East River currents can be a frightful event for the unknowing… But it doesn’t have to be! The discussion will include information about what recreational boaters should know, be doing, and not doing when operating in near to close proximity to NYC commercial vessel traffic, and will include understanding what the commercial captains’ goals are and their assumptions about your actions. Also, if you are not familiar with how New York City currents impact your boat and your planned trip, stay tuned. The discussion will include “Good to know!” information about the NYC currents that most recreational boaters misuse and misunderstand. Captain Aaron Hilliard is a graduate of Greenwich High School, and has skippered the SoundWaters schooner in our local waters. 7 pm ~ Usual light refreshments will be served. The anchor boat will be at the mooring around noon until sunset. Plenty of time to come by, bringing a snack/drink to share and move from boat to boat to socialize and talk boating. No Boat? No worries! There’s room aboard. All are asked to contact David Leisten 860-480-8222 with their plans. Captain John’s will serve their famous New England clambake, with a 1 1/2 pound Maine lobster, steamers, mussels, new potatoes, corn-on-the-cob, water melon and dessert. Chicken option available. Cold beer, wine, sodas and water included in the fee. Just bring yourselves! If you are not a Greenwich resident, please let Vicki know and arrangements will be made for your entry to Greenwich Point. Come and enjoy old friends and make some new ones – all are welcome! Where: Greenwich Police HQ, 11 Bruce Place, Greenwich, CT.
Class materials will be mailed to you to read before class. 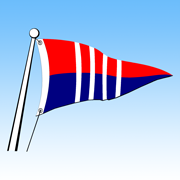 The Greenwich Sail & Power Squadron – also known as America’s Boating Club of Greenwich – has approximately 160 members who enjoy sailboats and powerboats in the waters of Greenwich, Connecticut. The Greenwich Sail & Power Squadron is a unit of the United States Power Squadrons®. 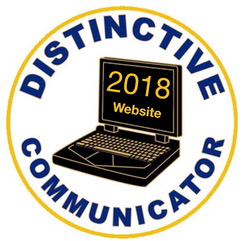 Our squadron is one of 16 in District 2 of the national organization. We welcome you to find out more about us on this site! Email Susan Ryan at susan@greenwichsps.org. District 2 is one of 33 districts of the United States Power Squadrons®, the world's largest private, non-profit, boating organization. District 2 (D2) geographically includes Lake Champlain, Lake George, Sacandaga, the Hudson River areas of New York and the western ends of Connecticut and Massachusetts. D2 has 16 different Squadrons with approximately 1,600 members who share boating knowledge and camaraderie. Throughout the District and USPS as a whole, experienced instructors teach courses on Seamanship, Piloting, Navigation, Weather and much more. 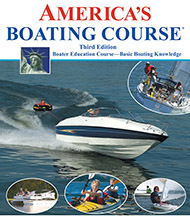 Successfully completing one of the USPS Public Boating Courses meets the educational requirements for boat operation in all states. The USPS Ensign (Flag Design), "Wheel-and-Flag Design", "Officer Trident Design", "United States Power Squadrons", "USPS", "The Ensign", "the Squadron" with flag graphic, "Paddle Smart", "USPS University", "Boat Smart", "Jet Smart", and "America's Boating Club" are registered trademarks of United States Power Squadrons. The Squadron Boating Course is a service mark of United States Power Squadrons. The "USPS Trade Dress" is a trademark of United States Power Squadrons. Date of the Last Update: Check the date of the most recent entry at the top of this page.